Brad Inwood presents a selection of his most influential essays on the philosophy of Seneca, the Roman Stoic thinker, statesman, and tragedian of the first century AD. Including two brand-new pieces, and a helpful introduction to orient the reader, this volume will be an essential guide for anyone seeking to understand Seneca's fertile, wide-ranging thought and its impact on subsequent generations. In each of these essays Seneca is considered as a philosopher, but with as much account as possible taken of his life, his education, his intellectual and literary background, his career, and his self-presentation as an author. 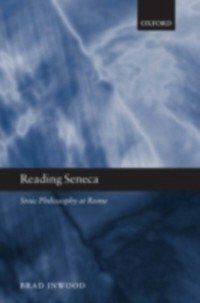 Seneca emerges as a discerning and well-read Stoic, with a strong inclination to think for himself in the context of an intellectual climate teeming with influences from other schools. Seneca's intellectual engagement with Platonism, Aristotelianism, and even withEpicureanism involved a wide range of substantial philosophical interests and concerns. His philosophy was indeed shaped by the fact that he was a Roman, but he was a true philosopher shaped by his culture rather than a Roman writer trying his hand at philosophical themes. The highly rhetorical characterof his writing must be accounted for when reading his works, and when one does so the underlying philosophical themes stand out more clearly. While it is hard to generalize about an overall intellectual agenda or systematic philosophical method, key themes and strategies are evident. Inwood shows how Seneca's philosophical ingenium worked itself out in a fundamentally particularistic way as he pursued those aspects of Stoicism that engaged him most forcefully over his career.